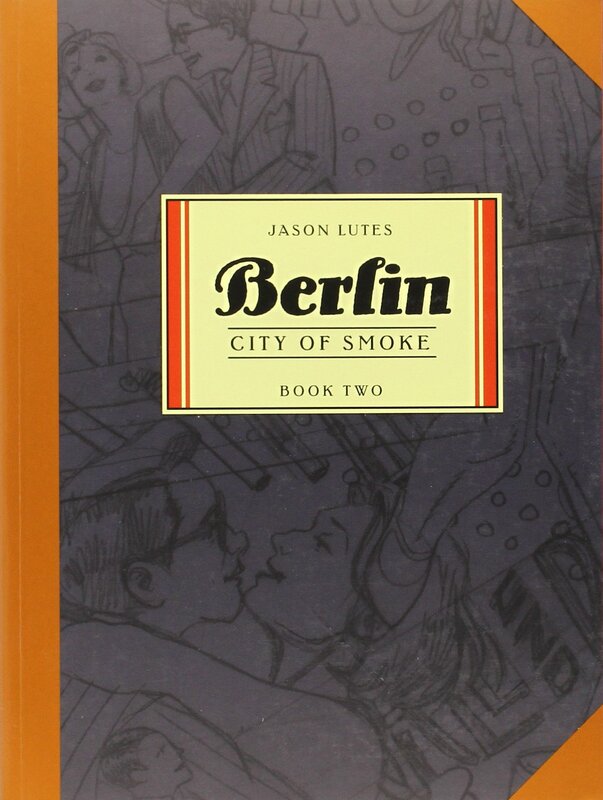 Berlin is Jason Lutes’ monumental exploration of the German capital in the decade before World War II, a social consideration as 1929 becomes 1930. 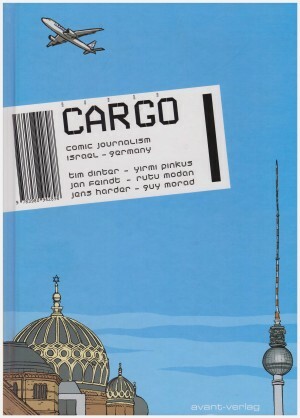 It might be expected that Lutes would begin City of Smoke by addressing the tragic ending to City of Stones, but Berlin is a graphic novel playing a long game and instead we see an American jazz band arriving in the city. 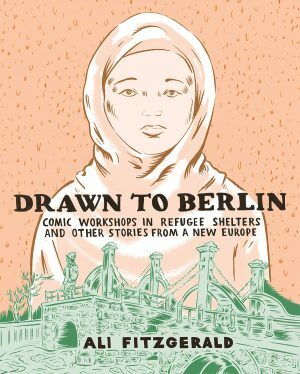 Marthe Müller has now spent a year in Berlin and enjoys what it can offer, while journalist Kurt Severing is increasingly concerned about the German state’s repression of individual voices. It’s as if their roles have been reversed, he now uncertain and slightly fearful of the future, she now completely acclimatised. The broad cast covers all bases, with Lutes ensuring opinions and feelings don’t just represent the politically committed and the persecuted, although with the increasing polarisation of views these come into sharper focus. We’ve followed some people over pivotal events that now come to shape their political allegiances, and others who’re hapless victims washed away in the wake of circumstance. The young teenage Silvia in particular tugs at the heart, her circumstances so deteriorated from when she was first seen with a happy family life, and Lutes contrasts her current hand to mouth existence with the idealistic debates of the well-meaning political left. Previously absent was discussion among the right, and Lutes gathers that around Horst Wessel, who provided them with their own martyr. Brilliantly, we see what he is before learning who he is, the truth and the legend very different, and Lutes uses Josef Goebbels’ chilling, myth-building eulogy word for word. 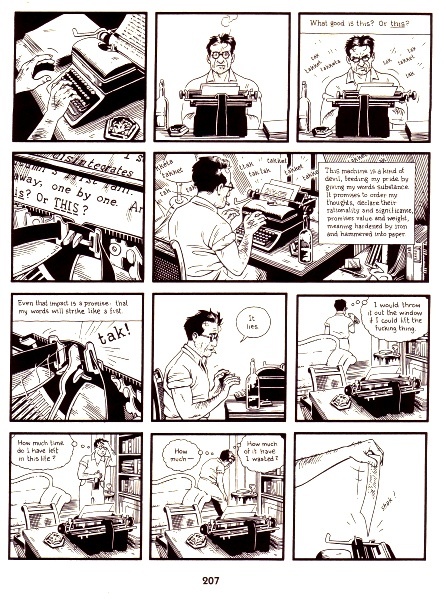 As before, Lutes matches the structural density with his art. It’s a rare page only featuring six panels, with ten far more common, yet despite Lutes packing those panels with detail, his composition ensures clarity and the eye flowing from one to the next. He’s not the strongest at facial expressions, but the staging is excellent, posing people to good effect in busy scenes. Also notable is the neat cinematic way of switching scenes by having two characters in the same panel concluding one spotlight and beginning another. The jazz band add to the cast with their different personalities and needs, and their solo is ultimately played in the final chapter, where a recurring dream sequence is ingeniously decoded. City of Smoke is both drier and livelier than City of Stones, drier due to the increased political discussions, and livelier due to the greater diversity of the cast and Marthe’s increasing exploration of who she is. 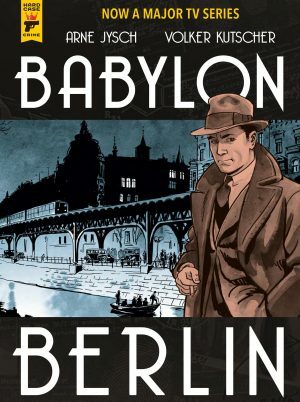 It continues to be compelling and ambitious as it spotlights what at the time few in Berlin realised were the final days of progression and freedom before a rapid erosion. The book ends with a news report of the National Socialists becoming the largest group in the German parliament. 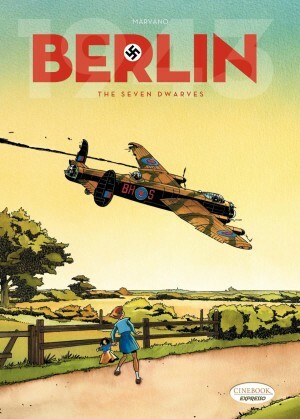 It would be a further decade before Lutes completed his trilogy with City of Light, Drawn & Quarterly simultaneously issuing a hefty combined volume just titled Berlin, but in either form it’s a masterful achievement.